Originally a form of trade in primitive cultures, our fascination with beads has traveled through the ages. It would be difficult to find a culture that doesn’t have some history of bead making. Perhaps it is because of this long term history that people gravitate to beaded items; it’s in our subconscious mind, an inborn fascination. Take a trip to any museum and watch how people flock to the beaded exhibits. Personally, I would list beading as a universal language, right up there with music and painting. This natural attraction combined with simplicity makes beading a beloved hobby—anyone who can push a string through a hole can create something beautiful! 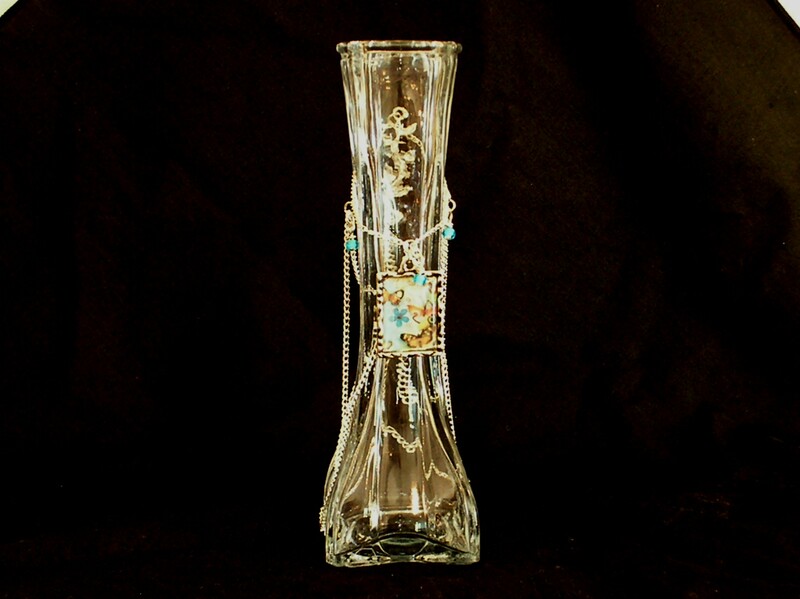 What’s even better…you don’t need to buy beads; you can make them or use unusual objects. Any object you can string is a potential bead—and when you think of it that way the possibilities are mind boggling! 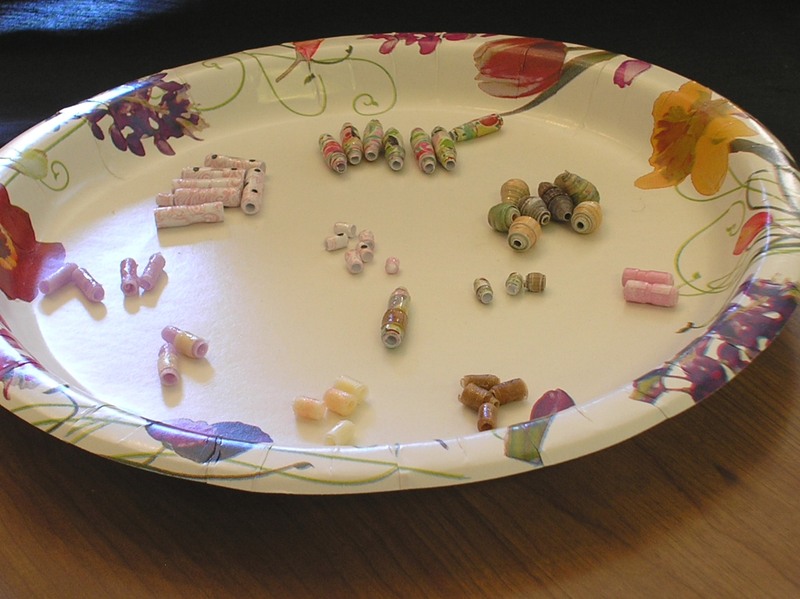 One of the easiest ways to make beads at home is with paper. Simply wrap a strip of colorful paper around a skewer or toothpick. Dab a bit of glue at the end of the wrapping, let dry, and apply a coat of acrylic sealer. Judi Kins Diamond Glaze will seal your beads without any tackiness. Once dry, it feels like a hard plastic coating. Here are a few of my paper beads; I applied the same technique to craft ribbon which resulted in some very pretty lavender beads. This is child-friendly craft. There are plenty of instructional tutorials on YouTube, or you can download a free .pdf, with patterns for making different shaped beads, over at Big Bead Little Bead. 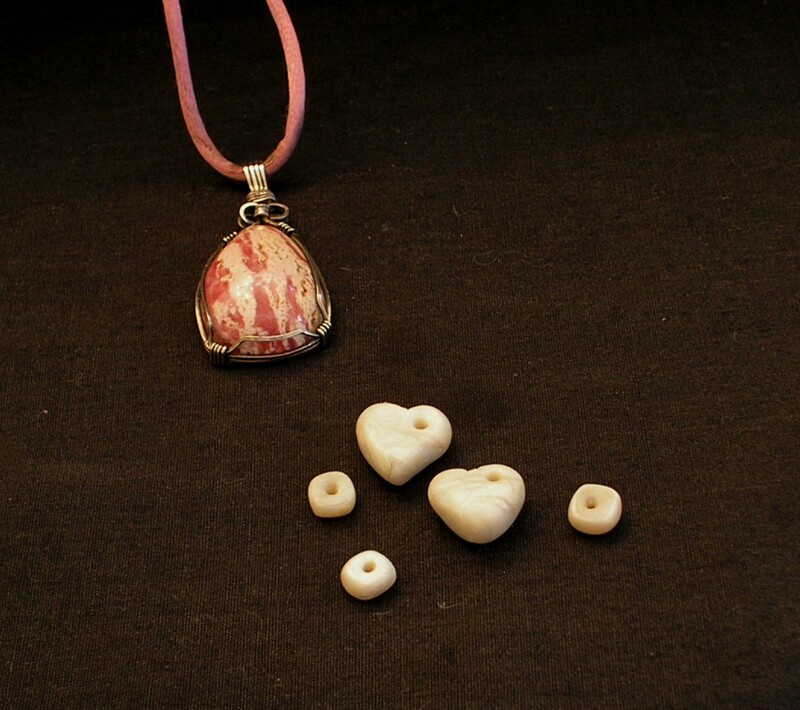 With a bit more skill, and access to an oven, you can delve into the world of polymer clay. Or, with a pair of flush cutters and a bit of wire you can go on a wrapping spree. Wire wrapping opens the door to viewing ordinary objects in a whole new light. That shell, coin, or stone on your dresser can be a pendant in just a matter of minutes! My current project includes puzzle pieces which don’t require any wire, just a small punch with a nail. So go ahead—stroll through your home and see what you can find to create your next masterpiece. And remember, beading isn’t limited to jewelry! Why do you love to bead? What is the strangest object you’ve ever used in a project? Ever had a beading catastrophe? Please share!